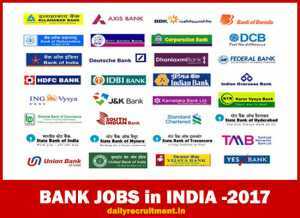 Bank Jobs in India : Are you looking for Bank Jobs in India? and you need to know the Latest Upcoming Bank Recruitment in 2019? Then you are in right page. Here is the List of Upcoming Bank Jobs 2019. Why are you interested to work on Banking Sector? because this is most Safest and Promising Jobs in Indian Employment Sector. Find out your favorite bank recruitment in this page. Every year bank recruits employees for various requirements. IBPS (Institute of Banking Personnel Selection) is an autonomous agency providing personnel selection services for banks. From the year 2011, IBPS starts conducting common written examinations for Clerk, Probationary officers and specialist officers in all nationalized banks and Regional Rural banks. 20 nationalized banks and regional rural banks are participating in the common recruitment conducting by IBPS. Other banks are conducting recruitment on their own. 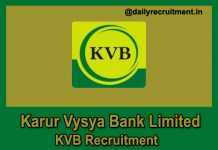 In this page we regularly update bank recruitment, We clearly notifies post name, number of vacancies, job nature, job location, eligibility criteria like educational qualification, age limit, selection process and how to apply for the job. Candidates willing to secure a job in banking sector please check our website regularly and place a job in banking sector. Axis Bank Recruitment 160 - CSO & Various Posts Check Advt. 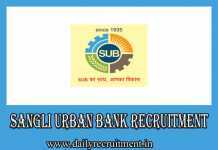 IDBI Bank Recruitment 40 - Manager & Other Posts Check Advt. 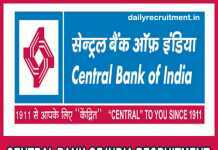 YES Bank Recruitment Credit Manager & Various Posts Check Advt. IDFC Bank Current Openings 108 - Latest Openings Check Advt. 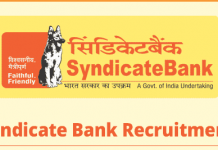 Catholic Syrian Bank Recruitment 159 - Manager & Other Posts Check Advt. YES Bank Recruitment 2019 - Chennai Various Posts Check Advt. ICICI Bank Recruitment Various Posts Check Advt. Kosamattam Finance Recruitment Various Posts Check Advt. SBI Life Insurance Jobs 2018 Unit Manager Group – PAN India Check Advt. IDFC Current Openings Sales Officer Posts Check Advt. Exide Life Insurance Recruitment Sr. Manager-Sales Training Posts Check Advt. 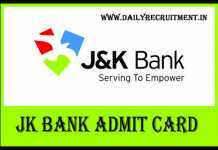 YES Bank Recruitment Deputy Manager, Sr. Manager, Unit Leader & Various Posts Check Advt. BAJAJ Capital Recruitment Various Posts Check Advt. NABARD Result 92 - Assistant Manager Check Advt. Bank is a company which performs the business of banking in India. According to Banking regulation act 1949, Banking means accepting, for the purpose of lending or investment, of deposits money from the public, repayable or demand or otherwise, and withdrawal by Cheque, draft, order or otherwise. The Reserve bank of India was established in 1935, under the RBI act 1934. Headquarter of RBI is located in Mumbai. Reserve bank of India was governed by the Governor of RBI. All Banks in India was under the control of Reserve Bank of India. Reserve bank of India is also called as Central Bank of India. RBI functions are financial supervision, regulation and supervision of financial systems in India, manage exchange control, issue of currency and act as Banker to Bank and Government of India. RBI has four Zonal offices, 19 Regional offices and 11 sub-offices. Banks in India are classified into scheduled and non-Scheduled banks. Under scheduled Banks, banks are further classified into commercial and co-operative banks. 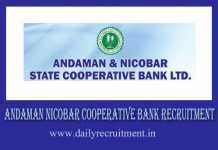 Co-operative banks are divided into urban and State co-operative banks. Commercial Banks are further classified into public sector banks and private sector banks. State bank groups and nationalized banks are under the category of Public sector banks. Bank of Bengal, Bank of Bombay and Bank of Madras were established by British government, later these banks became state bank of India. Bank of Hindustan is the first bank established in India. The first Indian bank established by Indian is Punjab National Bank. I AM INTERESTING IN BANK BACK OFFICE JOBS.